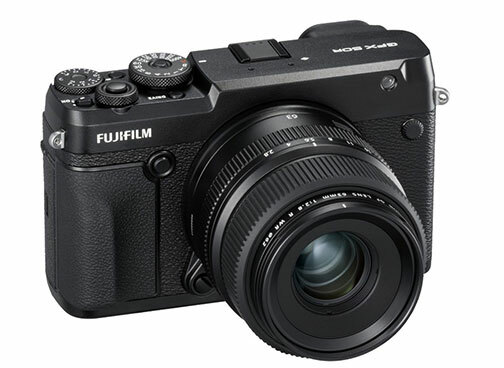 Valhalla, NY—Fujifilm North America Corporation introduced its GFX 50R rangefinder-style medium-format mirrorless digital camera. It features a large 51.4MP G-format (43.8×32.9mm) CMOS image sensor and X-Processor Pro image-processing engine. 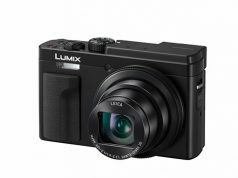 They deliver image quality in a compact, lightweight body reminiscent of medium-format film cameras widely used in street and documentary photography. 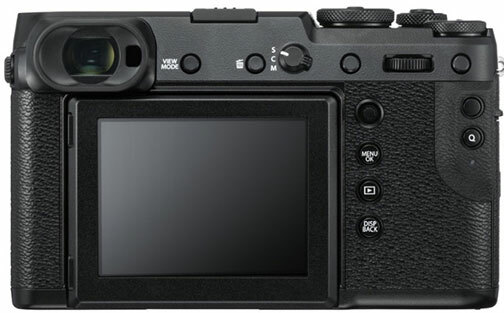 The GFX 50R is equipped with a 0.77x, 3.69M-dot organic OLED electronic viewfinder (EVF) for accurate focusing and framing images. And weighing 5 ounces less than the GFX 50S, it offers more intuitive handling in a weather-sealed body. Moreover, supporting Fujifilm film simulation modes, the camera allows photographers to opt for the tonality of photographic films such as Velvia, Provia and ACROS, used for many years in medium-format film cameras. In addition, the micro lenses on the GFX 50R’s sensor optimize light gathering and image resolution “to deliver images that precisely reproduce the subject’s texture, three-dimensional feel and even the atmosphere of each scene,” Igarashi added. The camera’s magnesium alloy body is weather-sealed in 64 places. It is dust resistant and can operate in temperatures as low as 14º. 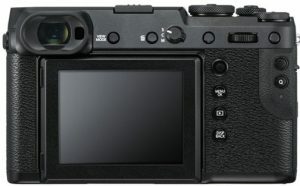 Also, for more intuitive operation, it has a focus lever for quick focal point adjustment. In addition, the 50R eliminates selector buttons to provide extra space for comfortably holding it. The top of the body has two dials—for shutter speed and exposure compensation—constructed of milled aluminum. The GFX 50R weighs 27 ounces with its built-in EVF. Its body is less than 3 inches thick, nearly an inch thinner than the GFX 50S. Its rangefinder style design permits photographers to keep one eye on the subject while looking through the viewfinder with the other. This enables users to check the scene around the subject matter to ensure optimal capture. Other features include: three JPEG settings (super fine, fine, normal) and two RAW settings (uncompressed, compressed), as well as TIFF output; Full HD 1,920×1,080 29.97p/25p/24p/23.98p 36Mbps video recording; and a 3.2-inch, 2.36M-dot, tilting, touch-screen LCD monitor. The medium-format camera is also the first model in the GFX system with integrated Bluetooth low energy wireless communication. As a result, the camera can pair to a smartphone/tablet for content transfer via the free Fujifilm Camera Remote app. There are also provides dual SD card slots. Currently, the GFX system offers a lineup of seven Fujinon GF lenses with a G mount. They cover focal lengths from 23mm (18mm equivalent in the 35mm film format) to 250mm (198mm equivalent). The G mount boasts a short flange back distance of 26.7mm. 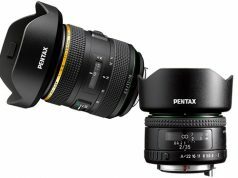 In addition, all GF lenses are capable of resolving up to 100MP. They are also dust as well as weather resistant and can withstand temperatures as low as 14ºF. 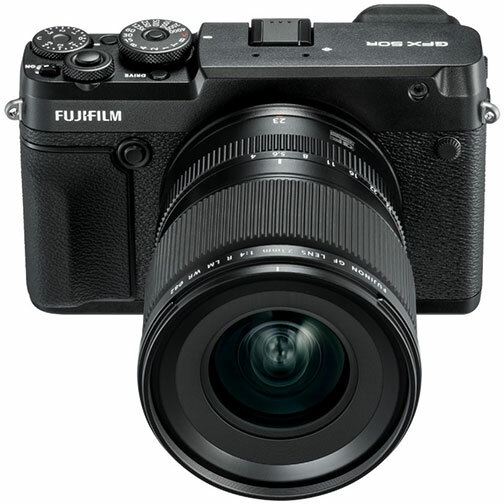 Moreover, to enhance operability for professional photographers, the GFX system is compatible with various software, including Capture One Pro for Fujifilm. 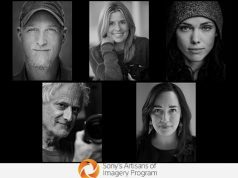 The software provides added options in commercial and fashion photography studio sessions. The GFX system also supports tethering software HS-V5 for Windows. It also supports Tether Shooting Plug-in Pro for Adobe Photoshop. This enables pro photographers to incorporate the GFX system into their workflow. 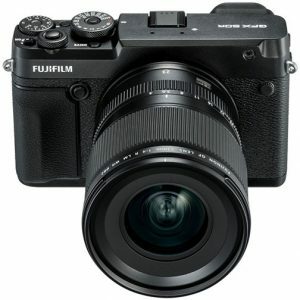 Fujifilm’s GFX 50R ships late November 2018 with a suggested retail price of $4,499.95.